Well, Eli is, in fact, a killer. And a good one. But it is true that his life has been unduly influenced by his brother’s ambitions, and as he begins to move toward creating his own life everything the brothers have built begins to unravel. It’s a suspenseful, violent tale, but one with emotional resonance. Eli’s dreams of settling down with a wife and maybe working as a clerk in a shirt store may sound ridiculous to his brother, but it comes from a sweet and genuine need in his heart: to live a normal life and be loved. 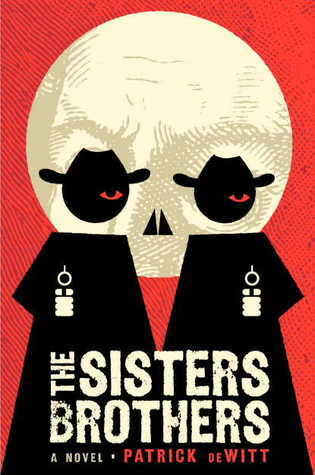 But there’s a burning hope for the future, too, and that is where The Sisters Brothers really shines for me. “Though I had never before pondered the notion of humanity, or whether I was happy or unhappy to be human, I now felt a sense of pride at the human mind, its curiosity and perseverance.” That this hope is seldom realized, that most dreams and hopes are created only to be cruelly murdered, is a bleak message. But when the message comes in the form of an enjoyable potboiler, it’s hard to feel too bad about it.